Florida Republican Rep. Matt Gaetz unveiled his own version of the Green New Deal Wednesday afternoon as the Republican lawmaker seeks to swipe the climate issue from Democrats and re-frame it in conservative terms. The Florida lawmaker rolled out the so-called “Green Real Deal” in an attempt to steamroll a similar climate resolution Democrats promoted earlier this year. He introduced the measure during a press conference on Capitol Hill. “History will judge harshly my Republican colleagues who deny the science of climate change,” Gaetz said before criticizing Democrats for what he believe is using the fear associated with climate change to “regulate out of existence the American experience.” He said in an editorial earlier on Wednesday that his version will cost less and likely gain bipartisan support. “Goodbye to cars, cows, airplanes, and buildings. Hello $93 trillion in new spending — excessive, considering our nation already runs trillion-dollar annual deficits against a $21 trillion national debt,” Gaetz wrote in a Real Clear Politics commentary. His response to the Green New Deal, which some reports say will cost trillions of dollars, includes modernizing the electric grid and subsidizing solar power. U.S. Representative Alexandria Ocasio-Cortez (D-NY) speaks to members of the media following a televised town hall event on the Green New Deal in the Bronx borough of New York City, New York, U.S., March 29, 2019. REUTERS/Jeenah Moon. Gaetz suggests “net metering,” a type of tool allowing solar panel owners to sell excess energy back to their utility companies, is a good way to tackle climate change with little government intrusion. Such measures force utilities to buy the energy produced by rooftop solar panels at or near retail rates. Gaetz supports creating incentives for corporations to maximize green energy and allowing homeowners to lower their energy costs. 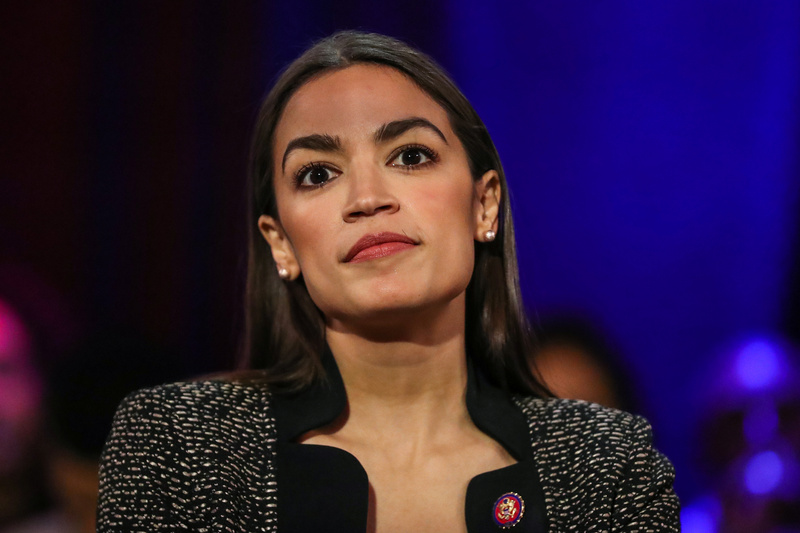 New York Democratic Rep. Alexandria Ocasio-Cortez introduced the Green New Deal resolution in February, calling for overhauling the U.S. economy to get greenhouse gas emissions to ‘net-zero” within a decade. The GND also calls for the government to focus on “repairing historic oppression” of certain groups of people.